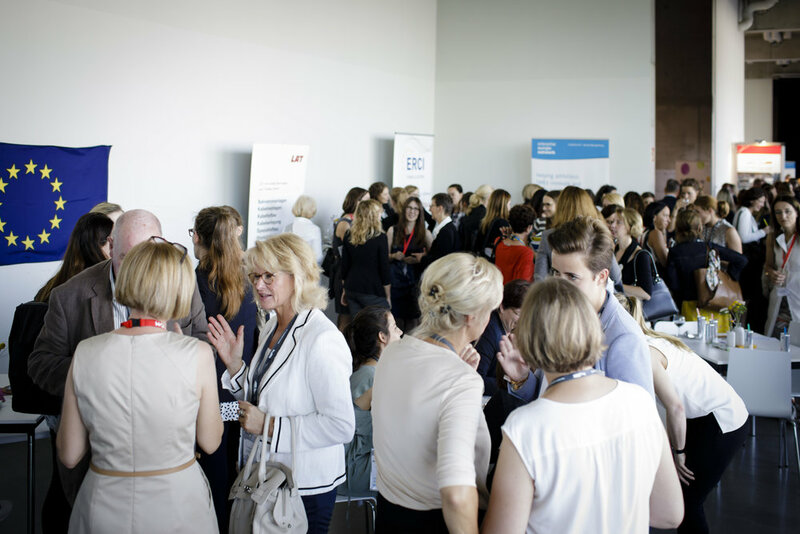 Leading associations and networks have joint forces with industry partners, to host the 4th networking lunch at the 6th RAILWAY FORUM Berlin and connect leading women in mobility. 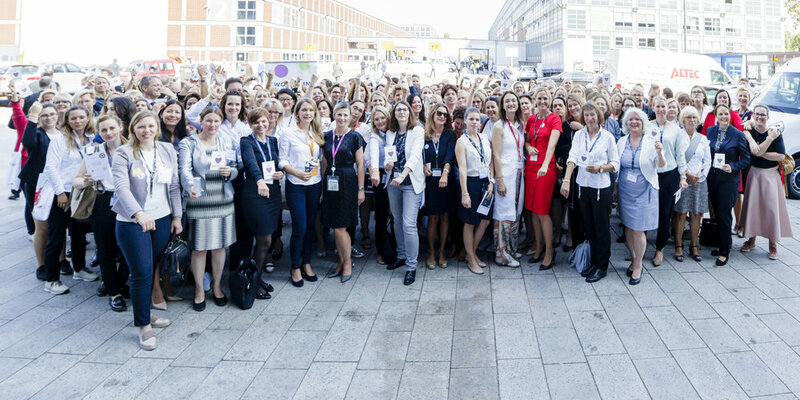 More than 250 top-level female participants will meet in Berlin. Their goal: Make role models more visible, foster mentoring and ultimately increase the percentage of women in transport from current 22% to 40% by 2020. Vom #Bankenviertel zur #Eisenbahn - im aktuellen #Bahnmanager Magazin spricht @julholze von #WiMHub #Berlin mit Carmen Maria Parrino @cmparrino über ihren Werdegang und was sie jungen Frauen in der Bahnbranche mit auf den Weg geben möchte. #Empowerment #WomeninMobility . . Danke @dennis_p_z für die starke Unterstützung der Aktion ! 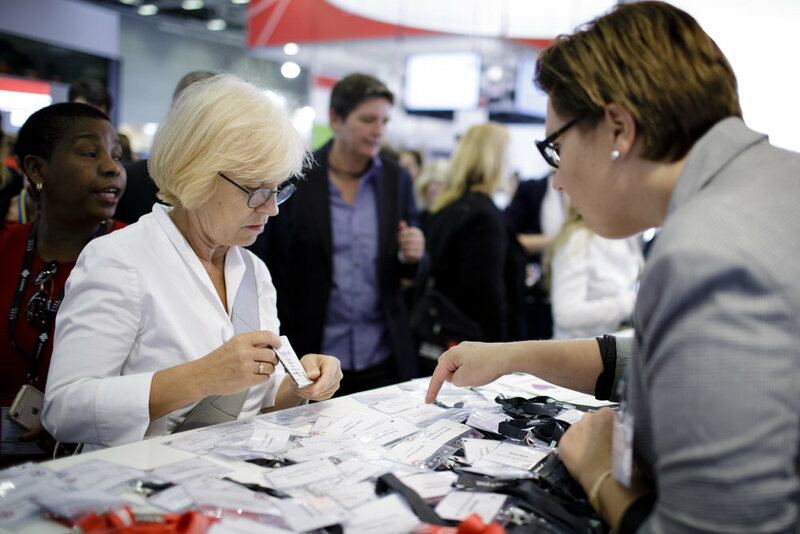 To promote visibility of women in mobility we started the „Empowerment“ movement at InnoTrans 2018 and continue it at Railway Forum 2019. Experts working in the industry were asked to pass on a copper wristband to a women with talent, simultaneously posting a picture on Instagram. bahn manager magazine, supports the campaign through regularly publishing interviews organized by Martina Löbe (DB) and Julia Holze (Siemens). 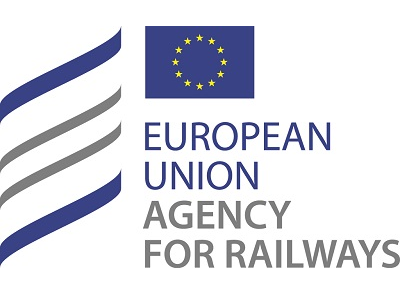 In a study published by the EU Commission in April 2016, the proportion of women in the entire transport industry was estimated at 22 percent. The biggest imbalance is in road construction and rail technology with only 14 percent women. As early as 2015, the International Transport Forum had pointed out that in the EU only 17.5 percent of employees in local public transport are women, of whom less than 10 percent work in technical areas. 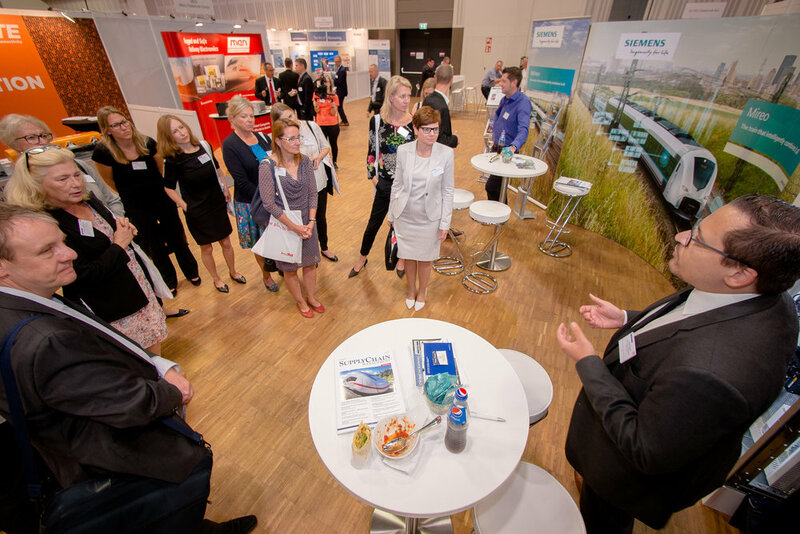 Following an initiative started by Larissa Zeichhardt, leading companies and associations joined forces and organized a “Ladies Lunch” at InnoTrans 2016. The goal was to foster NETWORKING amongst leading female talent in mobility. 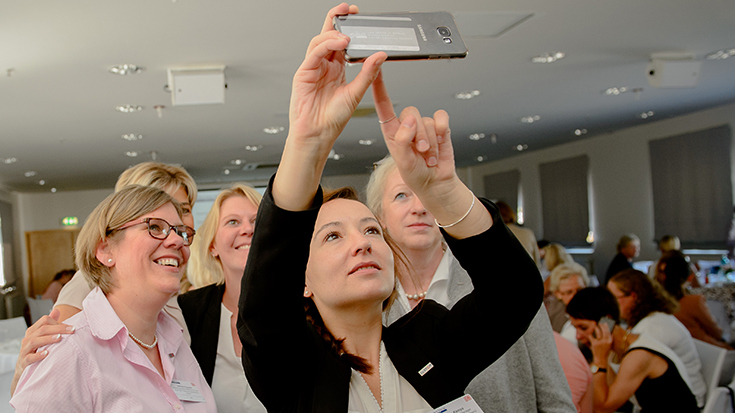 To enhance VISIBILITY, the original “InnoTrans Ladies Lunch” partners joined forces with Bahn Manager Magazin, IPM and Allianz pro Schiene. Their goal: Publish the top 100 female leaders in sustainable mobility, to make role models visible, and foster followers. 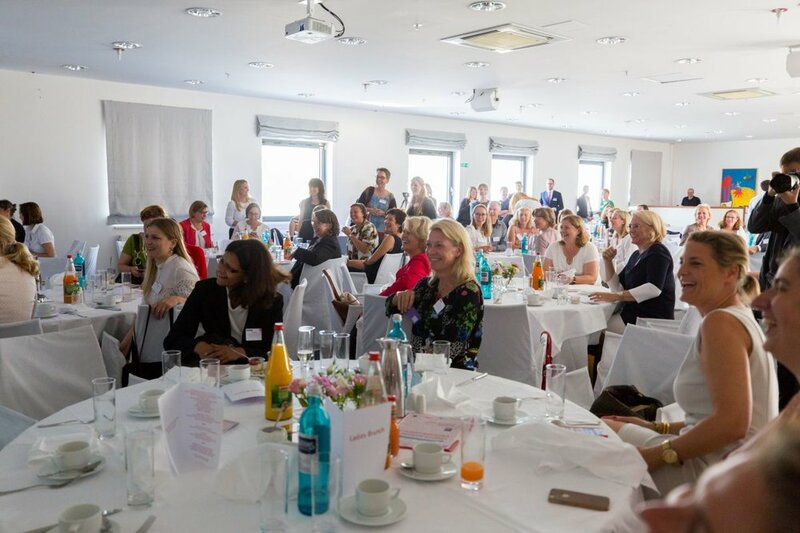 The jury, consisting of Berlin Partner, the Chamber of Industry and Commerce, the Women's Network of the Pro-Rail Alliance and the Association of German Women Entrepreneurs (VdU), selected from over 470 fascinating women. 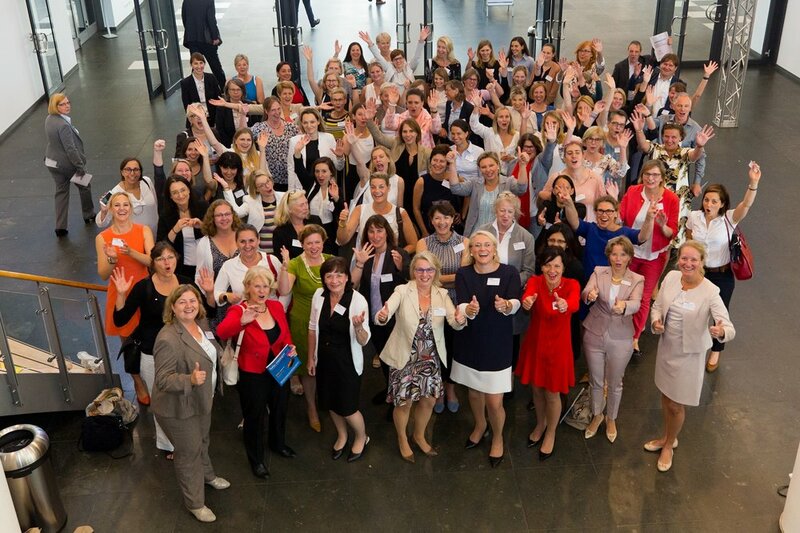 Proposals were made via various networks, including the German Railway Industry Association (VDB) transport associations such as the VBB, virtual networks like WomeninMobility.de and local trade organizations. 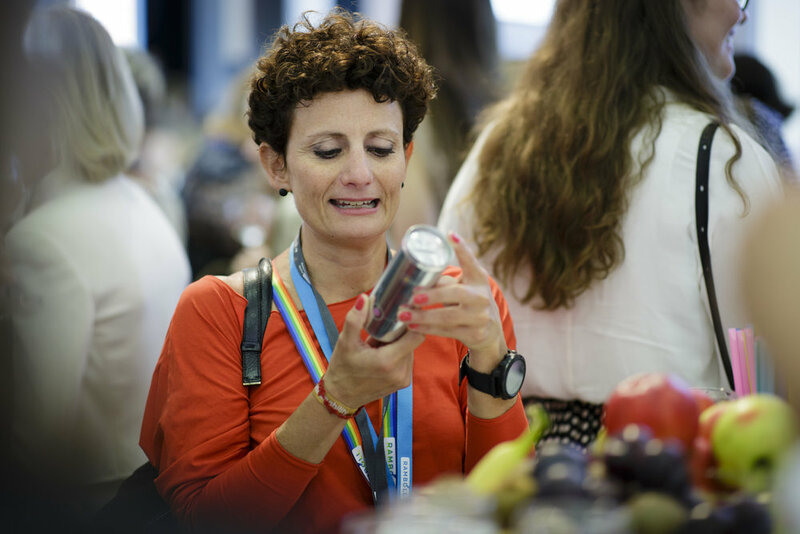 Ultimately, 100 women were nominated and published as the TOP 100 all of them known as influential leaders, described as inspiring, innovative and driving, and well connected across industries. Among them are well-known top managers, entrepreneurs and scholars. 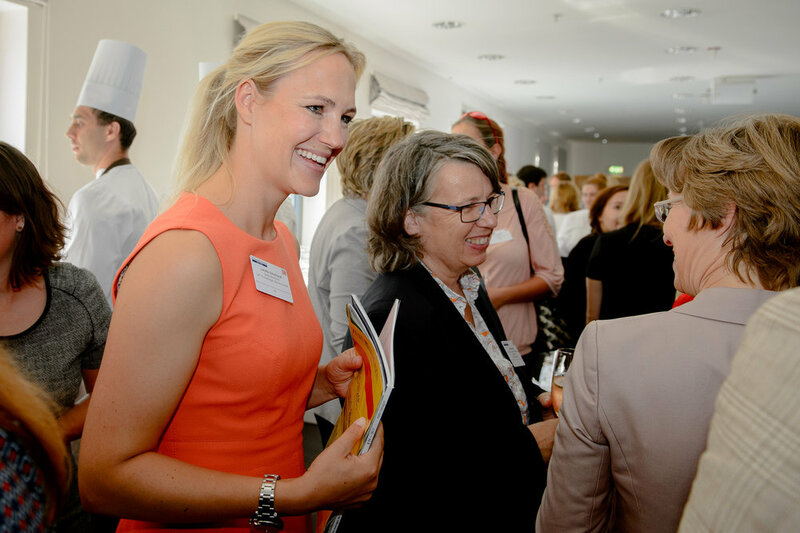 One partner, Frauennetzwerk Allianz pro Schiene, took the initiative to the next level, and keeps adding to the virtual gallery of STRONG WOMEN IN STRONG POSITIONS. Today we are on a joint quest: This year, the event is organized by a whole group of amazing women, operating under the flag of Women in Mobility. Together, we lead the quest of #EMPOWERMENT. Our Idea is simple: Each of the TOP100 female leaders have received two copper coloured #womeninmobility wristbands. One to wear to our InnoTrans Luncheon for Women in Mobility, the other one to pass on to another inspiring talent in our industry. 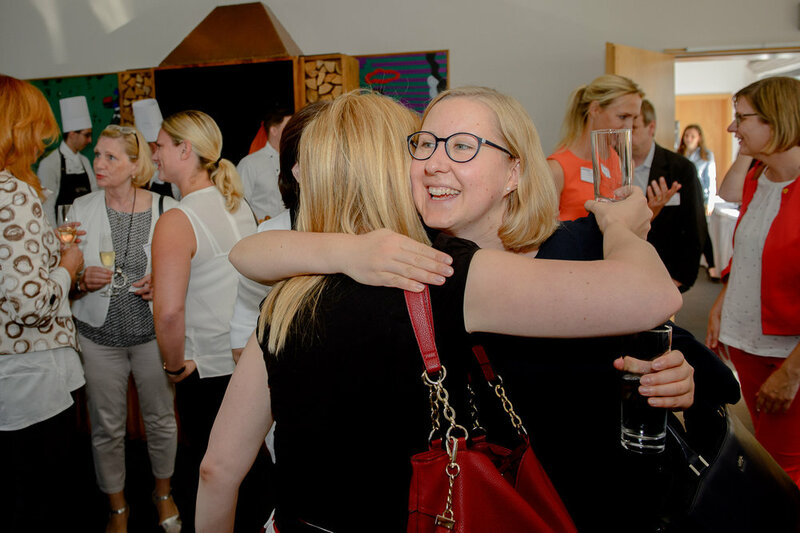 Our goal is to motivate women around the world to work together and help bring talent to the top: By mentoring, through sharing the stage, by speaking up for each other or simply through inviting each other to networking events. born in Paris, graduate engineer in mechanical engineering and aerospace technology, MBA previously worked as CEO Mainline Transport at Siemens Building Technologies and as Head of Sustainability and Energy Management and Head of Marketing and Strategy for Building Automation at Siemens VDO. Prior to that, she worked for Renault in the engine development department, among others. Since 2007 Barbara Lenz (*1955) has been Director of the Berlin Institute for Transport Research at the German Aerospace Center (DLR). At the same time, she is Professor of Transport Geography at the Humboldt University in Berlin. At the Institute of Transport Research, she has developed and established demand- and user-oriented research in both passenger and freight transport. Her current research focuses on social and traffic aspects of autonomous driving as well as trends and causes of traffic development in passenger and freight transport. 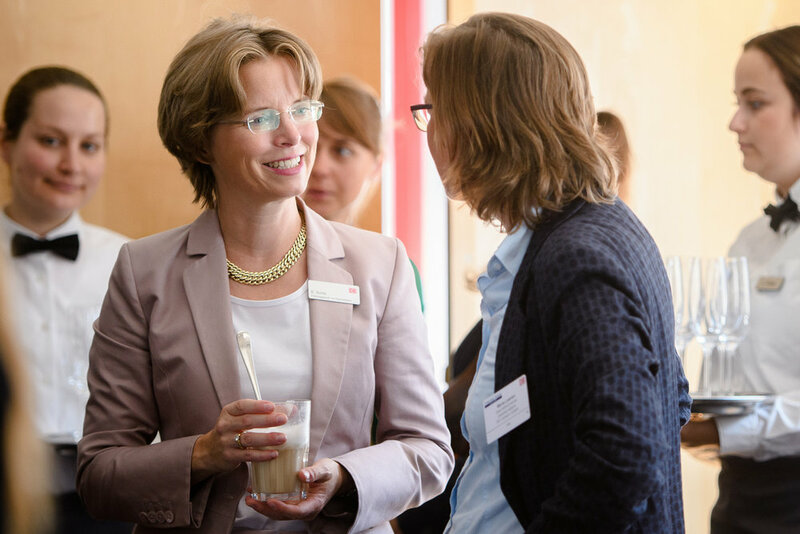 Vera Schneevoigt has headed Fujitsu's international product business since 2014 and is a member of the management board of Fujitsu Technology Solutions GmbH. The area of responsibility includes research and development, purchasing and production. Vera Schneevoigt previously spent 30 years in various global functions at Siemens and its subsidiaries. Birgit Bohle has been CEO of DB Fernverkehr AG since September 2015. After graduating from high school and training at BASF, she studied business administration (WHU, Koblenz & University of Texas, Austin). After working for Bertelsmann AG, she worked as a consultant for McKinsey for seven years. In 2007, she joined DB Vertrieb as Division Manager, where she became Managing Director in 2010 and Chairwoman in 2011-2015. After a B.A. in European Literature & Culture and internships in the media (RTL London, ZDF Mainz), in 2012 she joined Alstom in Dtld & Central Europe as Junior Press Officer. Then in the Digital Comms section. 2014 Change to Head of Komms. After the merger with GE, Alstom concentrates on the train business. Appointed Head of Communications DACH 2016. Board of Directors, Women in Digital e.V. Constanze Wolff sits on the board of www.women-in-digital.de, is co-founder of the agency www.ttc-fashion-trade.com and www.andcompliments.com (wedding fashion) and previously worked as Head of Styling at kisura and as Head of Design at cecil.de. Your USP: Agile start-up mentality meets experienced corporate experience. Kate McCourt heads the Learning & Leadership Development department at Bombardier Transportation. She believes in learning-centred, just-in-time learning by priority, not by hierarchy. Born in the USA, she studied at Wake Forest University as well as in Freiburg and Wuppertal. She completed her MA in industrial and organizational psychology. Antje Neubauer was previously Head of PR & Internal Communications in the Group and, among other things, Senior Vice President Communications responsible for worldwide communications at DB Schenker. 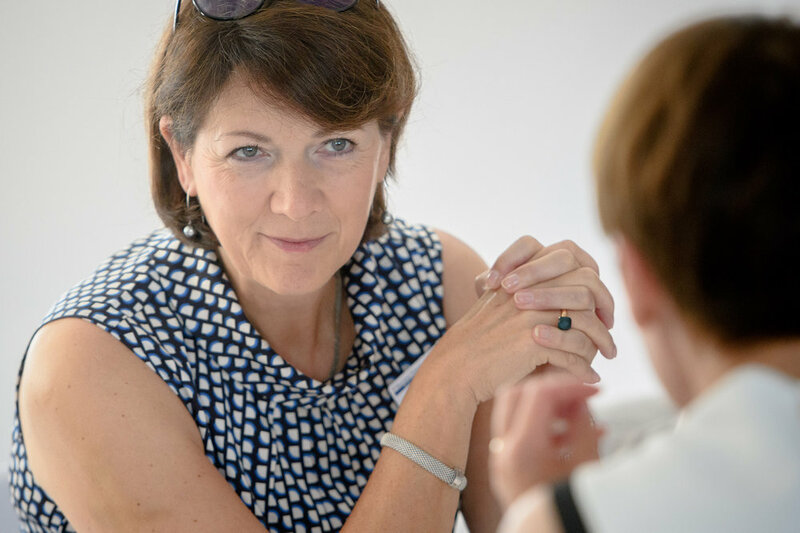 She began her career at RWE Telliance, where she was Head of Corporate Communications for the Berlinwasser Group and RWE Thames Water. She has been a member of the Supervisory Board of DB Vertrieb since 2012 and a member of the Supervisory Board of DB Schenker AG since 2016. The event initiator and organiser behind the TOP100 election, together with her sister Arabelle Laternser, manages the company LAT and offers a wide range of services for track and public transport, from cable line civil engineering to safety technology. She is the mother of two children, a member of the advisory board of Gütegemeinschaft Leitungstiefbau and deputy chairwoman of the women's network of the Pro-Rail Alliance. Studied physics in Kiel, graduated as Dr.-Ing. at TU Clausthal with a thesis on electromagnetic fields inside railway vehicles. Then Deutsche Bahn AG, European Railway Agency and Bombardier Transportation GmbH with management and executive functions in the areas of EMC, safety management, product safety and vehicle registration. Since November 2014, she has held the newly established endowed professorship for rail vehicle technology at the University of Stuttgart. Dr. Kerstin Wendt holds a PhD in High Performance Computing from the UAB Barcelona, Spain, after studying Computer Science in Passau, Spain. She has lived in Berlin for five years and works there for IVU Traffic Technologies AG. As division manager in the Public Transport project business, she and her 17-man team introduce systems to public transport customers throughout the DACH region. 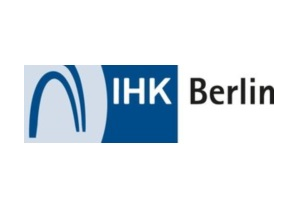 On 01.01.2018 Kerstin Wendt took over as Head of Tariff & Sales at VBB Verkehrsverbund Berlin-Brandenburg GmbH. She is also involved as a mentor and is active in various networks. She holds a doctorate in information science and is a certified quality manager ISO 9001 and internal IRIS auditor. 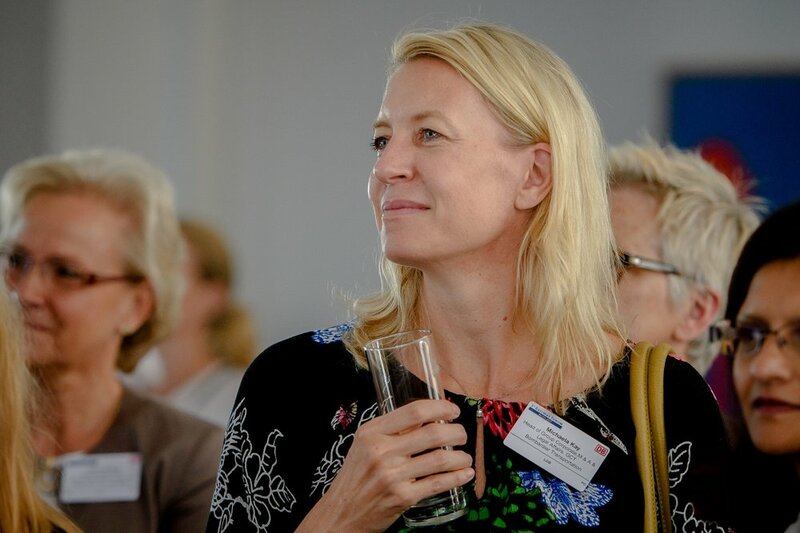 Before joining DILAX and joining the management board, she worked for research institutes and authorities at the University of Regensburg and the Social Sciences Information Centre, specialising in information retrieval and human-machine interaction and IT consulting. Since 2015, it has been solely responsible for the DILAX Group. The graduate in business administration comes from the tire and leasing industry, where she held management responsibility. She is married and mother of two children. 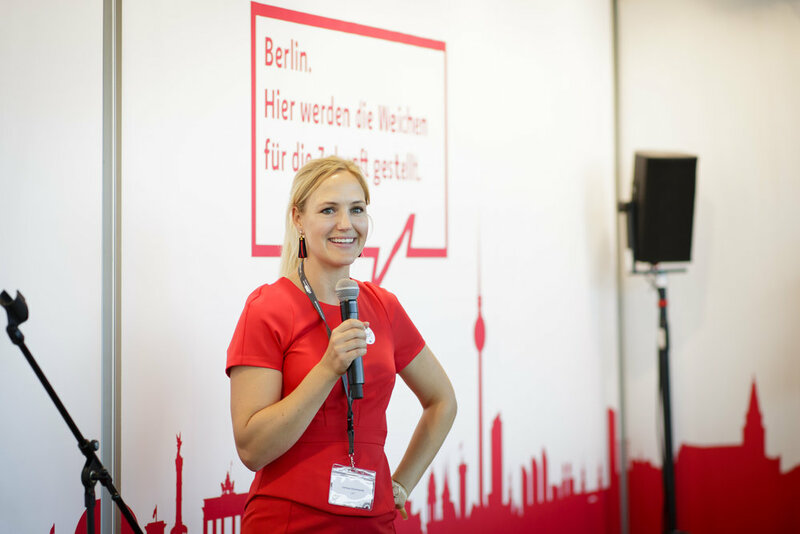 She joined Deutsche Bahn Connect in 2012 and has been CEO since 2014. Since then, its activities have focused on networked mobility. In addition to tailor-made fleet concepts, DB Connect scores with car and bike sharing. Maria Leenen has headed the management consultancy firm since 1994, which focuses on strategic issues in the international rail and logistics business. Leenen himself has led more than 200 projects on strategic issues in the global logistics sector. Their expertise, advice and assessment are also in demand in politics and the media. Katrin Krömer supports the DB companies in restructuring and employee placement. Previously, she was Managing Director Human Resources and Finance at the Federal Employment Agency in Berlin-Brandenburg as well as a management consultant at McKinsey (focus on performance management and transformation processes). Katrin holds a PhD in political science and studied public administration and business administration. Annette Hering studied industrial engineering for construction at the Technical University of Berlin, graduating with a degree in engineering. She spent two years with Max Aicher Bauunternehmen in Freilassing before joining the Hering Group in 1989, which she has managed since 1996 in the fourth generation. In addition, she is actively involved in the construction industry association, since 2008 as district chairman of South Westphalia. 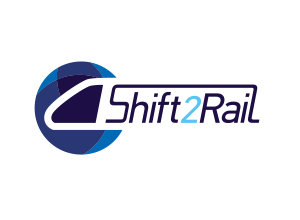 Since 2003 she has been a member of the advisory board of the Association of German Railway Engineers. The list of the TOP100 female executives in the mobility industry has been published in the Bahn Manager Magazine and is available for download. Further exciting role models will be presented by, among others, the Pro-Rail Alliance in the "Gallery of Strong Women".